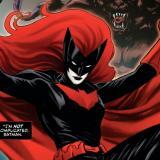 Which Batwoman villian would choose to have go up against her in pilot? How many episodes would be in the first season? 13 might be right on. Black Lightning was in a similar position and also got 13 episodes. That said, villain wise, if it’s just the first episode, I would love a cameo by Poison Ivy or Harley Quinn but both are unlikely. I’ve heard rumors that, while well-intentioned, Batwoman could be viewed as a villain first. I doubt this however. That said, if they brought in Talia al Ghul played by Lexa Doig, I would flip! It would be a perfect tie in to the Arrowverse and could make Batwoman questionable in her first season alliances.